Shopping at a flea market means finding amazing deals on products for a fraction of the retail price. 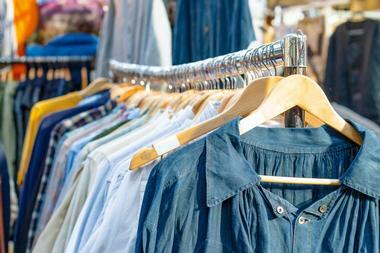 There are usually vendors hawking new and used clothing, antique furniture and home goods, artwork, souvenirs, and more. 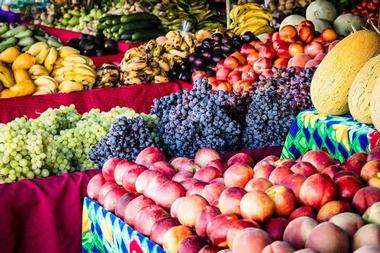 Many flea markets even team up with farmers to create a farmers market/flea market hybrid, giving customers a great venue for buying fresh, wholesale produce for much cheaper than at the grocery store. Food and concessions as well as live entertainment often round out the experience, making a day at the flea market a great outing for families, friends, or solo adventurers in search of some fun. Luckily, Florida has a plethora of flea market options. 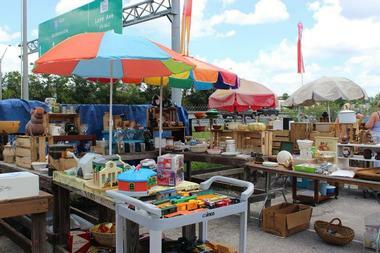 Located in Kissimmee	192 Flea Market is a huge, sprawling market that is one of the oldest in the state of Florida. 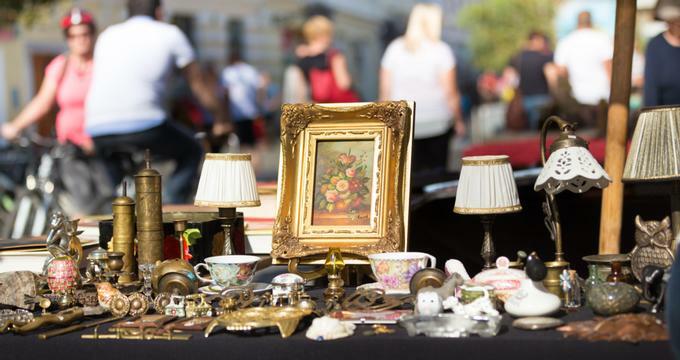 It’s conveniently located to tons of major Orlando attractions, like Disney World or Universal Studios, so even tourists spending some time in the sunshine can take a trip to the flea market to see what’s for sale. The massive indoor market has over 400 vendors, all under one roof, and customers at 192 Flea Market can browse the tables and booths for school supplies, souvenirs, furniture, clothing, jewelry, bedding, luggage, and more, all at amazingly low prices. 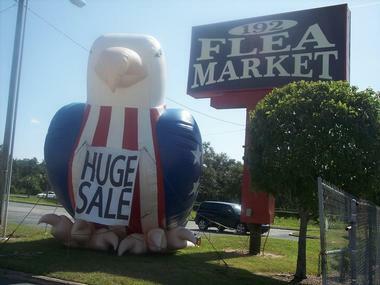 192 Flea Market is usually open from 9am to 6pm. 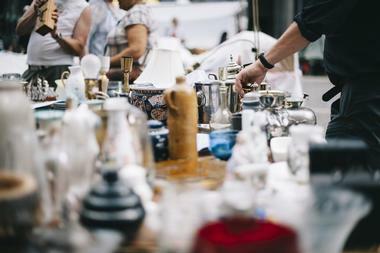 This weekend flea market is open on Saturdays and Sundays from 8am to 3pm, year round, selling antiques, clothing, handmade goods, furniture, and art, among other items. 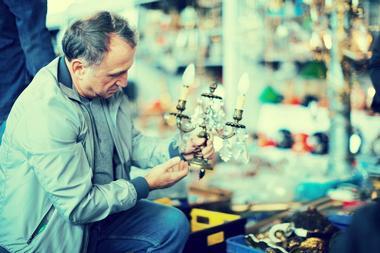 Besides the standard flea market fare, customers can also visit Garage Sale Alley, a unique aspect of B&A Flea Market that allows private vendors to host their own garage sale there for maximum visibility. This means that truly everything can be found at B&A, though it might take some patience and a fine-toothed comb to sort through the thousands of items on display and for sale here. Beach Boulevard Flea Market in Jacksonville is a giant marketplace that takes up over 200,000 square feet for its many unique vendors. 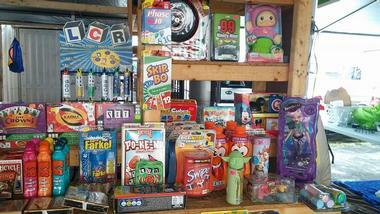 There are so many different products for sale at Beach Boulevard Flea Market that it would take days to sort through them all. Customers can expect to find great deals on new and used goods as well as many vendors selling fresh, local produce, handmade goods, and some delicious food and beverages, like iced coffee drinks to soothe the Florida heat. Beach Boulevard Flea Market even has vendors offering services, like A&B Pit Stop Tires, which does basic vehicle tune- and even stereo installation on site. Big Top Flea Market, named for the circus-like marketplace of unique and eclectic goods found inside, is located in Tampa. Open only on weekends from 9am to 4:30pm, Big Top is a huge indoor space that is clean, safe, and full of fun bargain goods. There are hundreds of vendors at Big Top Flea Market, selling everything from sunglasses to screwdrivers to cherry tomatoes. 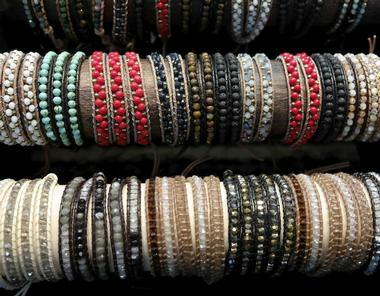 Every stall has something new to draw the eye and some great, unbeatable deal to make customers pull out their wallets. There’s a lot to see at Big Top Flea Market, so visitors should plan to spend a few hours there, and luckily there is a concession stand so customers can re-energize with some great snacks, food, and drinks. Daytona Flea and Farmers Market is open year round on Fridays, Saturdays, and Sundays, from 9am to 5pm, except on Christmas Day. 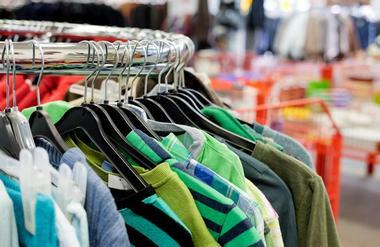 In addition to typical flea market fare like used furniture, clothes, tools, and home goods, Daytona Flea and Farmers Market also frequently hosts other events in their space, like craft fairs, car shows and cruise-ins, and more. They also host a farmers market, where local vendors can sell their fruits, vegetables, meats, homemade jams, cheeses, pickled and canned goods, honey, herbs and spices, or other locally produced treats. This classic market is a great place for families, friends on a group outing, or solo adventurers. Flamingo Island Flea Market has 600 spaces for merchants and vendors in their roomy venue, and the experience and list of sellers grows practically by the minute. Still quite new in the flea market world, Flamingo Island Flea Market shows a lot of promise as a unique and fun shopping experience for customers. Guests can find great bargains on goods like clothing, accessories, and home goods, or go grocery shopping for their weekly load of produce, fresh seafood, and other locally made foods. Flamingo Island Flea Market also boasts six restaurants where visitors can relax and enjoy some food while taking a quick break from hitting the shops. With over 900 stores run by individual merchants, Fleamasters Fleamarket has well over one million items for sale that can’t be found anywhere else. Some vendors sell discount, gently used formal dresses for proms, quinceaneras, weddings, and other formal events, while others sell therapeutic pillows, soft sheets, and cozy quilts for cuddling up in bed at night. There are toys, clothes, furniture, and Florida-themed knick-knacks for sale at Fleamasters. The market also hosts several events throughout the year, like canine costume contests, food festivals, and a regular lineup of live music. Fleamasters is open year round, although the days and hours of operation depend on the season. 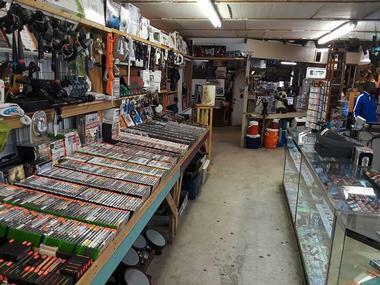 Customers of any and all interests will find something to suit their tastes at Howards Flea Market in Homosassa. Fishing enthusiasts will find a wide array poles, lures, tackle, and attire, while gardeners will find fresh flowers, seedlings, and tools, and the fashion conscious will find some amazing retro clothes alongside new and unique accessories. Howard’s Flea Market also has vendors selling home goods, school supplies, and unique souvenirs, and even has several merchants who make delicious baked goods and snacks for customers to munch on as they wander the stalls and tables of the flea market. 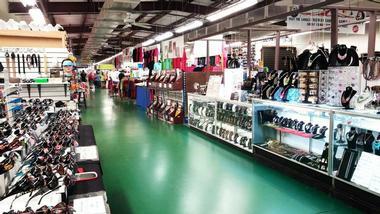 International Market World has been thrilling customers with unique and affordable goods since 1981. Located just off Highway 92, west of the quiet city of Auburndale, this massive flea market is home to over 1,200 unique vendors. Visitors will spend hours browsing the array of goods, and it will certainly be difficult to leave these shops empty-handed. Whether searching for a gift, a souvenir, or a statement piece to brighten up the home, customers will love this Central Florida attraction. Besides shopping, there are also restaurants, music, and even entertainment. Market World hosts a live alligator show that is sure to thrill locals and visitors of all ages. Main Gate Flea Market isn’t one of those weekend or summers-only kind of places. It’s open seven days a week, year round, from 10am to 8pm. At Main Gate Flea Market, customers can find discounted shoes and flip-flops, gorgeous new handbags, unique and colorful dresses, and quirky home goods to really make a statement in the kitchen or living room at home. Main Gate also has several services available, such as an in-market barber shop, hand-carved rings and jewelry repair, and several restaurants so guests can take a break from shopping and enjoy a good meal. Main Gate Flea Market also has vendors who sell handmade or locally produced goods, like homemade jams, local honey, intricately carved candles, and artwork. Market of Marion has truly got it all. This indoor-outdoor marketplace sells everything from delicious and colorful fruits and veggies from local farmers to affordable clothing both new and vintage. 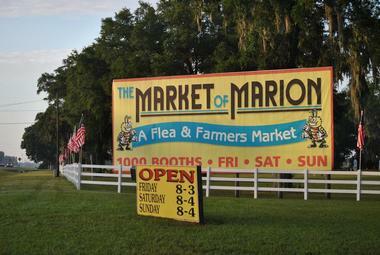 Market of Marion also has vendors who sell carnival food like funnel cakes as well as new and used furniture, one-of-a-kind antiques, and even a whole pet aisle where customers can buy a puppy, kitten, bird, rabbit, or reptile to take home or a chicken, duck, goat, or pig to bring to the farm. Throughout the year, Market of Marion also hosts a number of fun events and expos, like car shows, bake sales, food festivals, and tractor shows. The Opa Locka Hialeah Flea Market is the largest flea market in Miami, with an outdoor venue that takes full advantage of Florida’s famously sunny weather and the largest selection in the region. Opa Locka Hialeah Flea Market is open seven days a week, from 7am to 6pm, and from the second that visitors pull in through the unique yellow arches and see the masses of stalls, tents, and tables set up in the market, they’ll realize they are in for a real treat. With vendors selling everything from shoes to used cars and services offered like haircuts and tooth cleanings, Opa Locka Hialeah has got it all, with many restaurants on site and a farmers market as well. 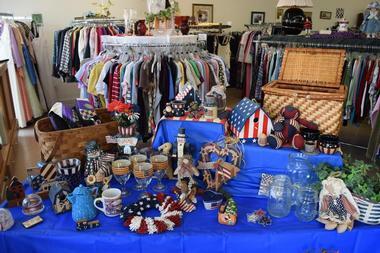 Some of the products sold at Patriot Flea Market include local honey, huge pallets of fresh strawberries, used books, area rugs, tractors, clothing, toys, and more. 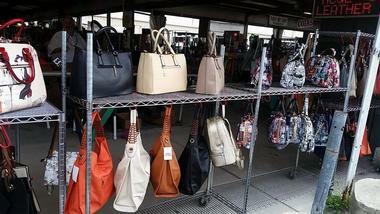 At Patriot Flea Market, weapons enthusiasts can even find fashionable concealed carry bags. 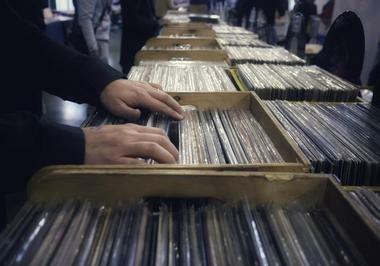 The flea market features live music, great food, and lots of fun vendors from 8am to 1pm on Tuesdays and Thursdays. Pecan Park Flea and Farmers Market is the largest flea market in Jacksonville and has been in operation for more than three decades. 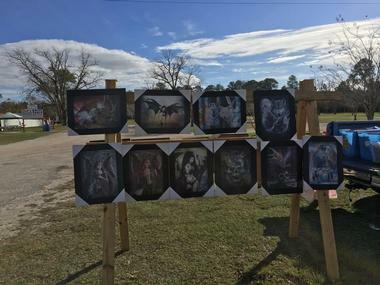 With over 750 merchants and over 5,000 unique visitors daily, Pecan Park Flea and Farmers Market is a great place to pick up some framed artwork, new luggage sets for your next vacation, discount rugs and other home furnishing, jewelry, and more. There is a dining hall and restroom area that is climate controlled for those who need to escape the heat and grab a delicious bite to eat. Pecan Park often hosts events for families, like an Easter egg hunt in the springtime and festivals and car shows during the summer months. Plant City Farm and Flea Market is open seven days a week from 5am until 5pm, which provides ample opportunity for customers to stop by and explore this exciting outdoor market. It’s the best place in the area to get fresh local produce directly from the farmers who sell it there, and at great, affordable prices with bulk sale options too. Plant City Farm and Flea Market has been serving the community since 1978 and today has grown to become a huge wholesale market that expands over 10 acres of land. The produce available at Plant City Farm and Flea Market is commonly found in local restaurants and businesses. 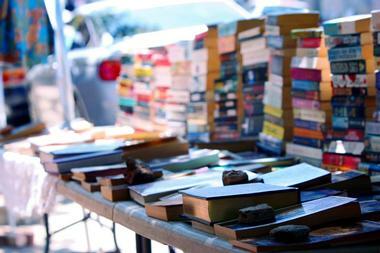 The flea market portion of the marketplace is open only on Wednesdays. The community is what makes Ramona Flea Market in Jacksonville stand out. This fun cluster of shops and vendors, open Saturdays and Sundays from 8am to 5pm, is run by locals who all know each other well. 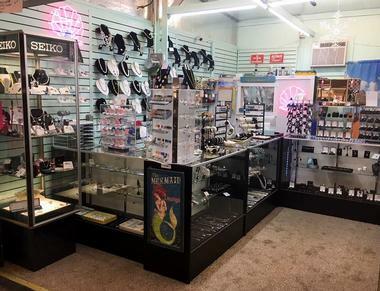 Customers will find a friendly and welcoming atmosphere as they munch on roasted peanuts and sift through collections of different types of incense, try on fun and fashionable clothing, select the perfect necklace to go with an outfit, or search for a specific type of tea kettle to really make their kitchen decor stand out. Ramona Flea’s selection of new and vintage items, from Avon beauty products to vintage beer cans, will really set the scene for an exciting shopping experience. This flea market in West Samoset, Florida, is held in a big red barn, as the name suggests. It is family owned and operated, as it has been since 1981, when it first opened its doors. It’s a fantastic venue for a unique shopping experience, with 80,000 square feet of air-conditioned vendor space in an overall 145,000-square-foot area. There are more than 600 merchants selling at Red Barn Flea Market, many of them are artisans who hand-make their goods, as well as farmers selling their personally grown produce. Food options include dozens of vendors and snack shacks, selling not just fruits and veggies but also doughnuts, kettle corn, artisan bread, deli sandwiches, and Italian ice. 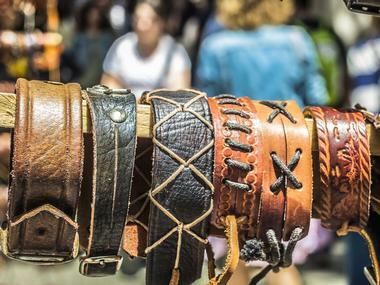 Many of the vendors at St. Augustine Flea Market are there every weekend, but just as many only set up shop for a limited period of time, selling their wares for one day only or for only a few weeks. This means that the shopping experience at Saint Augustine’s Flea Market will be different at every visit. The market, which is open on weekends from 9am to 4pm, has booths for guitar sales and repairs, new and refurbished cell phones, cases, chargers, and accessories, and top of the line Avon beauty products like mascara, nail polish, and skincare supplies. There are also merchants selling fishing gear, guns and ammo, and fresh produce from local farms. With 44 vendors and 42,000 square feet of space, Sun Flea Market in Charlotte, Florida, may not be the biggest flea market on this list, but in the end that’s part of its charm. This indoor venue contains well-built stalls for merchants, and it’s clear that each of the vendors has a unique product that they are happy to talk to customers about. Some sell unique geodes, seashells, and fossils, polished until they shine, while others sell new and used tools for home improvement, from screwdrivers to power saws. 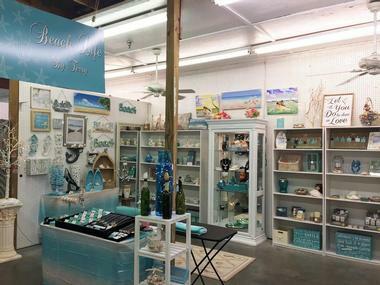 There are vendors who do custom airbrushing on site, and others who sell sea-themed gifts, so no matter what a customer is looking for, whether it’s a unique present for a friend, a memorable souvenir, or a piece that will fit the decor in their living room, Sun Flea Market has probably got it. 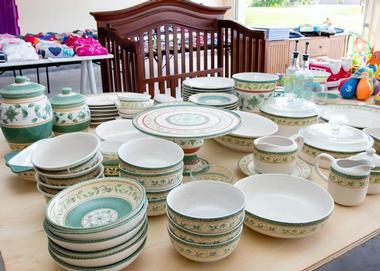 Sunshine Flea Market, located in West Palm Beach, is open on Fridays, Saturdays, and Sundays from 8am to 4pm. During market hours, customers can browse the shops to find amazing deals on new and used products at a fraction of their market price. The indoor market contains permanent stalls where merchants sell handmade custom signs, vintage jewelry as well as new jewelry, used furniture, consignment clothing, knick-knacks, tchotchkes, and more. There are concessions outside where guests can buy ice cream, tacos, agua fresca, and other refreshing options, and there are even several vendors who are at the market seven days a week. Back in 1966, Hardy and Janet Huntley would find broken goods at yard sales, fix them up, and try to sell them. They started Wagon Wheel Flea Market as a place where they could sell these refurbished goods and placed a wagon wheel on the side of the road to attract attention. Now, over 50 years later, Wagon Wheel Flea Market is a fixture in the area, with food trucks, several hundred vendors, and both indoor and outdoor shopping areas. There are even chandeliers made of wagon wheels inside to go with the theme. Wagon Wheel Flea Market is open on Saturdays and Sundays from 8am to 4pm, in rain, sleet, or shine. Waldo Farmers and Flea Market, which is open Saturdays and Sundays from 8am to 4:30pm, has free parking and no admission fee, which makes it a huge draw for bargain hunters and weekend warriors looking for a Sunday Funday activity. The antiques at Waldo Farmers and Flea Market are a huge draw, as they are top quality and affordably priced and the selection is huge, with everything from furniture to heirloom jewelry. The farmers market portion of the show is packed with local sellers, who offer wholesale prices on fresh produce, both local and imported. Webster Westside has been a staple in the community for over 50 years, with 35 acres of vendors and shops for visitors to explore. The open-air market sells fresh flowers, delicious produce, freshly baked goods, artisan breads, and plants and seedlings as well as typical flea market fare like jewelry, accessories, wholesale liquidation products, new and used clothing, and furniture. Webster Westside has an especially good reputation as a seller of quality antiques for good prices. They are open every week on Mondays, though their hours change throughout the year.